This season shiney finishes and silk paint is out, and in comes matte walls and painted furniture. Whether it’s light fittings, accessories, unit doors or table tops the look combines oxidized metals, matte glazes and chalk paint finishes. 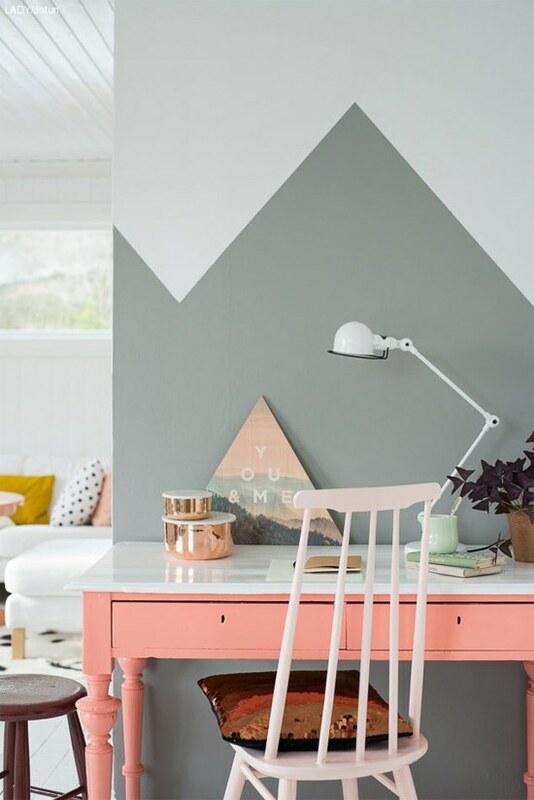 Black and grey look great in matte, but to bring lighter shades into a room consider creams, aqua greens [ in lighter shades ] and other pastel tones. This trend works well in minimalist interiors and can be mixed with elements of Industrial, Rustic and Scandinavian. And note not everything has to be matte, mix with textured and reflective items such at leather, glass and metal to bring a well collated, thought through interior. Be selective in your choices and bring in colour where possible. With regards to walls you can use wallpaper with minimal pattern or our preferred option is to paint. Consider clay and earthy colours [ in matte ] or try two colours [ pastels ] and divide a wall in half or an interesting pattern. Check out bestlivingroomdesigns.com for ideas.